This type of extinguisher was created for combustible materials based on cellulose, like paper, wood or cardboard, or materials like cloth, styrofoam, trash or plastics. Its markings are a green triangle with an A inside and a black square with burning wood and a burning trashcan. It involves flammable liquids and greases. Some examples are gasoline, kerosene, oil, paint, solvent and rubber cement. It is represented by a B within a red square and a black square with a burning gas can. 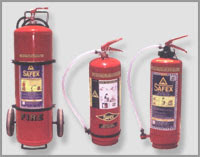 The Class C extinguishers are those made for electrical fires. Represented by a blue circle with a C inside and a square with a burning plug and socket, they were created for extinguishing fires created within a computer, an appliance or a fuse box. 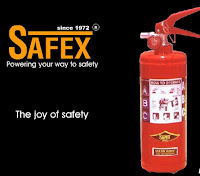 This kind of extinguisher was designed for flammable metals, like sodium, magnesium or titanium. They have a yellow star with a D inside. Although it’s also used for oils, this extinguisher was specially created for commercial kitchens. It’s a rare kind of extinguisher since it only has eight years in the market. Most restaurants still use the Class B extinguisher.